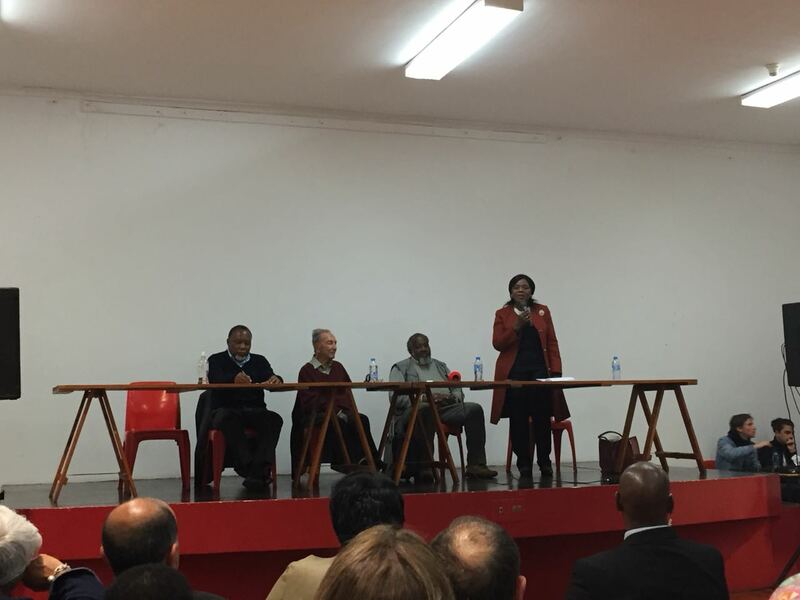 At the end of August, Cape Townâ€™s Community House welcomed the former public protector Thuli Madonsela, now the social justice chair at the Law Faculty of the Stellenbosch University, Pallo Jordan, a former member of parliament and the ANCâ€™s national executive committee, and Kgalema Motlanthe, former President of South Africa, to offer their thoughts of the prospects of South Africa and engage with the masses who had gathered in the Ashley Kriel Hall. The event was hosted by the Institute for African Alternatives (IFAA). All three speakers remain active and relevant in South African public discourse, with Madonsela using Stellenbosch University as a vehicle for her work, Jordan, after seeing the end of the debate of his fraudulent qualifications â€“ despite being a cabinet member for 15 years â€“ remains a vocal commentator on the land debate, and Motlanthe set to lead a commission of inquiry on Zimbabweâ€™s post-election killings. Former MP and founder of IFAA, Ben Turok, chaired the event and began with an introduction that the speakers would address many of the pertinent questions of today. For Jordan, establishing context of our current reality was paramount if we wanted to unpack potential prospects. â€œPolitical power in 1994 was transferred from a dominant white elite to what one might call a black political elite, but that political elite was of a very different character of the previous ones for one reason and this is the most significant dimension of that breakthrough, which is often forgotten: the political elite that came to power in 1994 had no property, it was a propertyless elite. It had no property, no land, it had no property in terms of ownership of mines,â€ said Jordan, the son of UCTâ€™s first black professor, Archibald Campbell Jordan. It was the recursive question of land that had some members in the audience affirming that the time for waiting was over, while another audience member questioned whether or not the ANC was guilty of demobilising the masses after 1994â€™s historic elections. â€œPost-1994, there wa a deliberate move to demobilise civil society and an assumption that the ANC has a superior logic and understanding of where society wants to go. Now itâ€™s starting to have an opportunistic element, not because of people that didnâ€™t know about it but because now other people want to become populist about the issue of land. When the ANC was preparing for office, and that includes the SACP, did they understand?â€ the comrade asked. The question of demobilised masses was, admittedly, paradoxical asked in front of a hall full of active citizens. However in light of the ANC losing several metros over the years â€“ including Tshwane, Johannesburg and the Nelson Mandela Bay â€“ and in conjunction with Jordanâ€™s explanation that the majority of South Africans now live in urban areas, there are elements of truth to the question. But as their grip loosens slightly over time, the strong assumption that ANC = government must also loosen as the masses are now being successfully mobilised by other parties and forces. being successfully mobilised by other parties and forces. 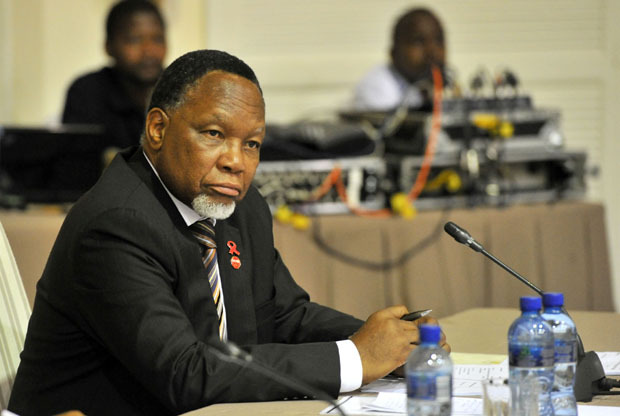 Motlanthe disagreed. â€œThe ANC itself was established for a purpose and that is why it is, from time to time, referred to as a parliament because the Union of South Africaâ€™s parliament excluded Africans and so when it came into being it styled itself as a parliament of those who were excluded from the Union parliament. By 1994 that purpose was attained, over 82 years. I think the omission â€“ rather than the ANC sitting down and deciding that it is now going to demobilise civil society, and no such decision was ever made â€“ that the ANC never proposed to ask the question that since this struggle was waged in the name of the people and on behalf of the people, where are these people now that the purpose for which it was established was attained?â€ the former President said, implying that voters and supports grew disillusioned with the increasing distance between party and people. However, with their purpose fulfilled, has Motlantheâ€™s party adapted to democracy and to a core constituency that has more rights and more freedom than when they supported the green, yellow and black stripes of the ANC during South Africaâ€™s long anti-apartheid struggle? Many thought that the arrival of Cyril Ramaphosa as the president of party and country would bring about that adaptation and embolden the prospects of the nation, as he had done for himself as a business tycoon of the 90s and 2000s. Professor Thuli Madonsela tackled this head on. â€œWhen he became president, Mandela put us on a pedestal of hope. We were still on that pedestal when Nelson Mandela left. When this year started I think a lot of you were on the pedestal of hope again and when everyone thought the dawn had arrived, some even spoke about Ramaphoriaâ€¦ Is it dusk or dawn, or did we mistake a dusk for dawn?â€ she said. Madonsela stressed the importance of the role that civil society must play, not only in voting, but in holding leaders to account and, citing Bernie Sandersâ€™ impact on young people who successfully enter politics in America recently, encouraged young South Africans to take up the mantle and challenge for positions if they felt there was no one up to the tasks that needed doing. As concerning realities continue to distend and our extremities journey to the centre away from the easy-to-ignore fringes, the former Public Protector urged for greater engagement in suffering public areas, including governance. By the ways the repressive regime of apartheid was brought down â€“ mass mobilisation, movement, involvement and buy-in â€“ so too can we build an equitable society. But the landâ€¦ the land debate remains heated and the means of its redistribution seem perennially undecided. A comrade in the audience suggested that the government create a socialist state and move from there, though we were reminded that our famed constitution has strong elements of socialism to it but many policies, processes of implementation and leaders do not have those same elements. Another audience member stood up and declared that if the land was taken violently, it must be reclaimed violently and after the strong response to his cry of â€˜Amandla!â€™ there were disagreeable murmurs against his warcry. â€œThe importance of the land, and we must never lose sight of this, is that apart from the fact that we all live on it as human beings, weâ€™re also all relying on the land to feed us. So we must not mess around with land as if itâ€™s just one other item. You could cause massive starvation if you take a wrong turn in respect to land. You can cause economic collapse of your society and country so one has to be very careful, emotive as the issue is, we cannot be guided by emotions â€“ we must be guided by reason. We have to be absolutely coldly rational in how we approach this. You just have to go through the street right now to see what the outcomes of hasty land reform can be. The average person here who tells you how to park your car comes from Zimbabwe,â€ Pallo Jordan, said, answering the vociferous comrade. The questions we must ask beyond Thuli Madonselaâ€™s of who is responsible, is how do South Africans who suffer substitute emotional realities with cold and impartial reason, and just how long do we have?